Light smoky quartz color with mercury-look finish - Note! This product doesn't contain mercury! This is a new finish with a pretty metallic coating. Very shiny. 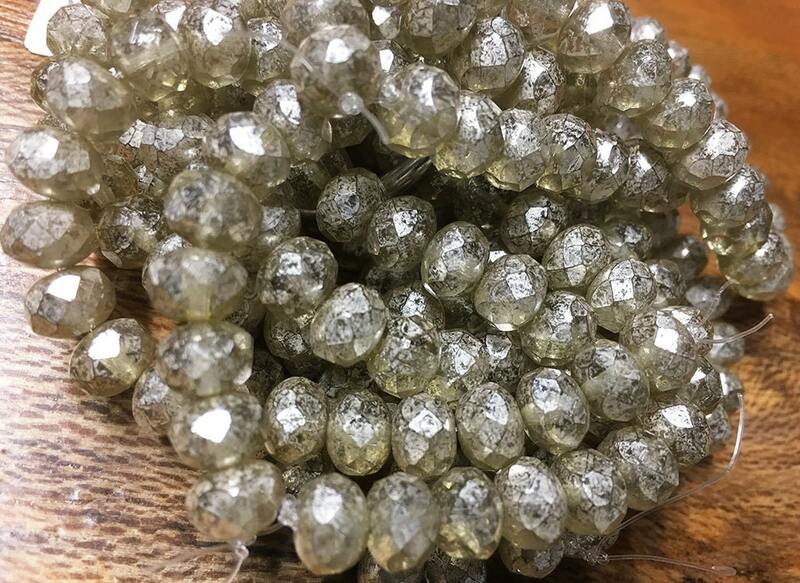 Czech pressed glass large faceted rondelle beads measuring 6 x 8 mm. There are 25 beads per strand. perfect, exactly as described and shipped fast! thanks! Exactly what I was looking for. Thanks so much!